I am very much the type of person who wants to read and own as many books as I possibly can in the hopes that one day, when I have my own house, it will justify having a whole room full of books. Because of this, I just can't resist a few bargain books! Since the beginning of summer I've been keeping an eye out for really cheap books, both second hand and new. The first lot of cheap books I got were from a local charity shop and all three of them look brand new! I got the gorgeous (old hardback!) copy of Treasure Island pictured for £1.20, the copy of Mister Pip shown for £1 and a paperback by Jill Mansel called Millie's Fling for 90p that appears to have never been read. The next 3 I bought from a little fundraising stall they had set up in my town toward the beginning of summer. My friends and I were spending the day together and we happened to walk past and me being me couldn't resist some cheap books! 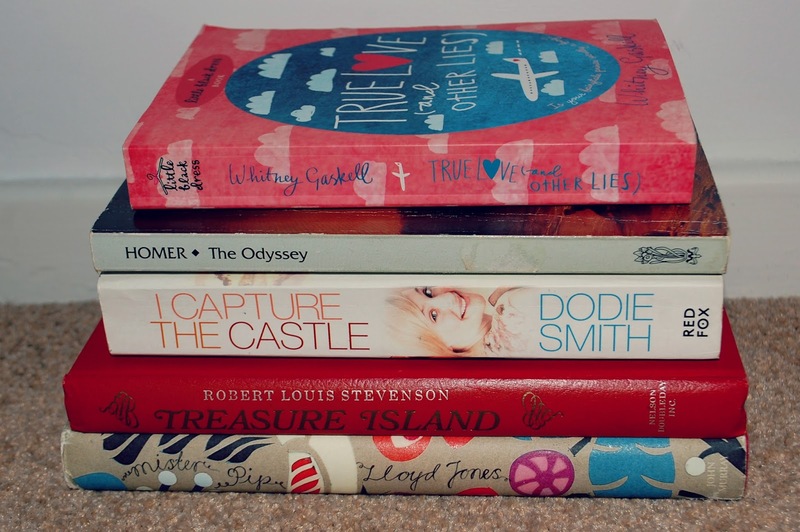 I got I Capture The Castle, True Love and Other Lies and The Odyssey all for £2! If I remember correctly it was £1 each or 3 for £2 which is honestly amazing! The last 3 (there seems to be a pattern here!) I bought from a shop called 'The Works' which is a chain of bargain bookstores in the UK (I think it's just the UK but I'm sure there are similar shops in other countries!). My mum and I were on a little shopping trip and went in for a little browse when I saw City of Bones, which I wanted to read anyway because of the movie coming out, was on 2 for £5 so I picked up that and Wicked (I'm a massive fan of the musical and I've heard the book is just as good!). I also managed to find a hardback copy of The Marriage Plot by Jeffery Eugenides for £1.99! For a brand new hardback that is crazy especially when the RRP on it is £20! I'm not sure if this really counts but I've also been loving the free books on kindle. 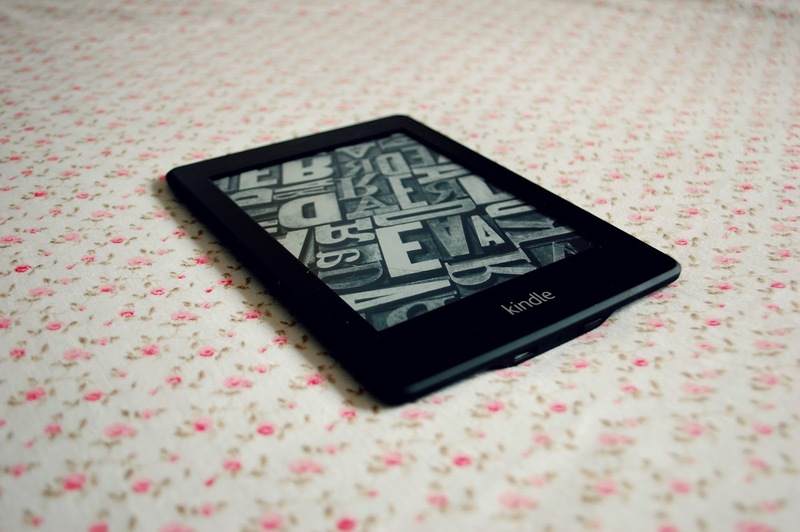 I got my kindle less than a week ago and have already read 2 of the free public domain books (The Wonderful Wizard of Oz and The Great Gatsby) both of which I loved so if you own a kindle and love a good book bargain it's definitely worth looking through them to see if anything takes your fancy! Seeing as though that's only the cheap/second hand books that I've bought in the last few weeks I feel like I might be developing a bit of a book buying addiction... This is what book blogs/book tube does to you everyone. You're welcome. Do you know of any good places to find cheap books? Let me know in the comments!